The personal injury attorneys at Lucas Law PLLC, in Gilford, New Hampshire, understand the need for injured parties to follow specific procedures when they are in a mishap. Such procedures will protect your rights and will help to ensure that you have every opportunity to receive the compensation that you deserve. However, negligence in such lawsuits may be difficult to prove unless the proper documentation can be utilized. In personal injury lawsuits, it is essential to come to the table with as much verifiable evidence as possible, which means that many cases involve eyewitness accounts; reports and testimony by EMTs, emergency room personnel, and medical specialists; photographic and video evidence; police reports; and expert testimony by accident reconstruction experts. At Lucas Law PLLC , we pledge to do everything that we can to make sure that you have every advantage possible when bringing your suit. The most common personal injury lawsuits brought in New Hampshire involve motor vehicle accidents, slip and fall cases, and medical malpractice. Motor vehicle accidents include car accidents, motorcycle accidents, and truck accidents, while slip and fall mishaps include those that are related to wet or slippery walkways, poorly lit entryways and steps, areas where necessary railings are not properly anchored or are nonexistent, and various areas that are in ill repair. Medical malpractice includes a range of areas that are related to diagnosing, treating, and rehabilitating those who are injured or ill.
Plus, you may also receive compensation for expenses directly connected to your injury, such as needed ambulatory care, specialized devices required for personal mobility or to perform specific physical activities, physical rehabilitation, and psychological treatment. If more than one party is responsible for your injuries, then your civil lawsuit may call forth New Hampshire’s laws concerning joint and several liability. If one person may be more than 50% to blame for your injuries, then they may be responsible for 100% of the compensation related to your accident. If a party is less than 50% responsible, then they will be liable for their share of the compensation related to the injuries suffered. In such cases, the plaintiff may recover all that they are owed from the party who is more than 50% responsible, and then that party may seek compensation from the other responsible parties for the percentage of fault that they bear. Also, in the State of New Hampshire, one who is injured may file a lawsuit against a party, even if the injured party is partly responsible for the accident or injuries. In this case, one may collect compensation based on comparative negligence. New Hampshire adheres to the doctrine of “modified comparative negligence,” which means that a plaintiff may be eligible for compensation as long as they bear less than 50% of the blame. 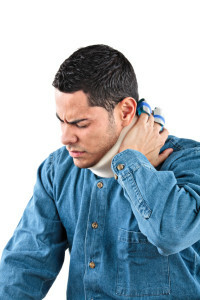 In New Hampshire, the statute of limitations for most personal injury lawsuits is three years. Three years pertains to from the time that the injury occurred or when the injured party first became of aware of their injuries. However, those hurt at a ski area have a just two years to make their claim, whereas those related to defective products may have a statute of limitations that extends to six years. The personal injury Lawyers NH at the Lucas Law PLLC, in Gilford, New Hampshire, are ready to serve those in the region. Contact us today by calling (603) 581-7102 , and one of our legal professionals we set up an appointment to speak with you about your case. At Lucas Law PLLC , we are committed to aggressively pursuing your lawsuit in order to secure the compensation that you deserve.